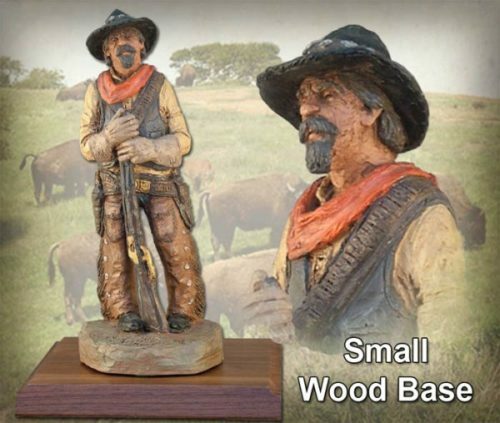 The American cowboy is a hero of the Wild West. He faces each sunrise, braced for the next adventure. 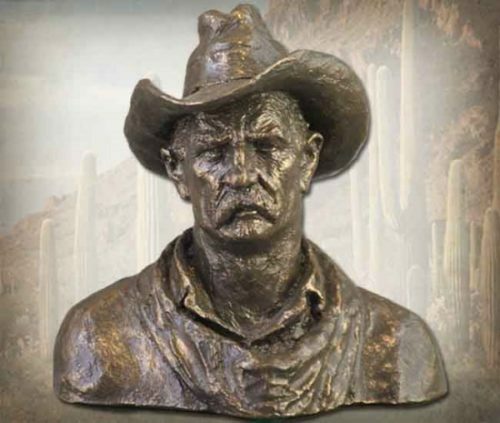 This handmade sculpture by Michael Garman represents the courage and hard work of a true Western American Hero. 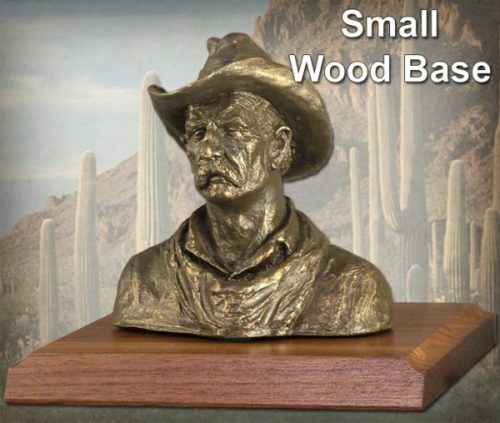 Sculpture measures 4.5″ tall. ©1969. Bronzetone finish. #MG013.